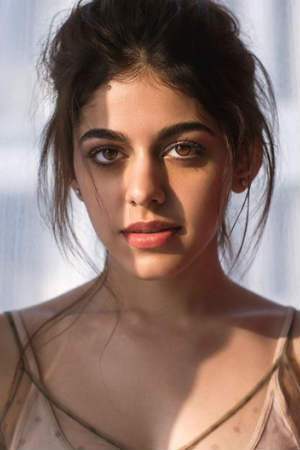 Aalia Furniturewalla or Alia Ebrahim is an upcoming B Town actress who is the daughter of Pooja Bedi. She was born on 28th November 1997 in Mumbai and was brought up in this place. She was six years old when her parents separated, while her mother took the custody of Alia and her brother as well. She completed her school from Jamnabai Narsee International School. She later joined New York University to study film and education and later went on to join New York Film Academy to pursue the course of acting. She is yet to make her debut in B Town but was seen in a couple of soap opera with her mother and her best appearance was in the show called Maa Exchange. Now, she is all set to start her journey in B Town with the film called Jawaani Jaaneman featuring Saif Ali Khan. In this film, she would be playing the role of Saif Ali Khan’s teenage daughter. Talking about her personal life, she was spotted with a guy several times in the US, and her body measures 32-24-33. Her hair color is light brown while her eye color is black. She is active in social media and has also done modeling by walking on ramps along with being the part of many marketing campaigns. She loves painting and writing, while her favorite films include Titanic and Phantom. She made headlines for her catfight with Saakshi Chopra at the Tyrst Pub in Mumbai in 2014, the fight was big enough to be reported in the police by Alia’s mother on the charges of abusing, threatening and intimidating. Stay tuned to know more about her profile and others only with us.